The administration of U.S. President Donald Trump announced that it is preparing a USD12 billion emergency aid package for farmers and is considering raising from 10% to 25% planned tariffs on USD200 billion of Chinese imports. The Chinese government announced it would impose retaliatory tariffs of 5% to 25% on U.S. imports worth USD60 billion. The Chinese list contains 5,207 product categories. 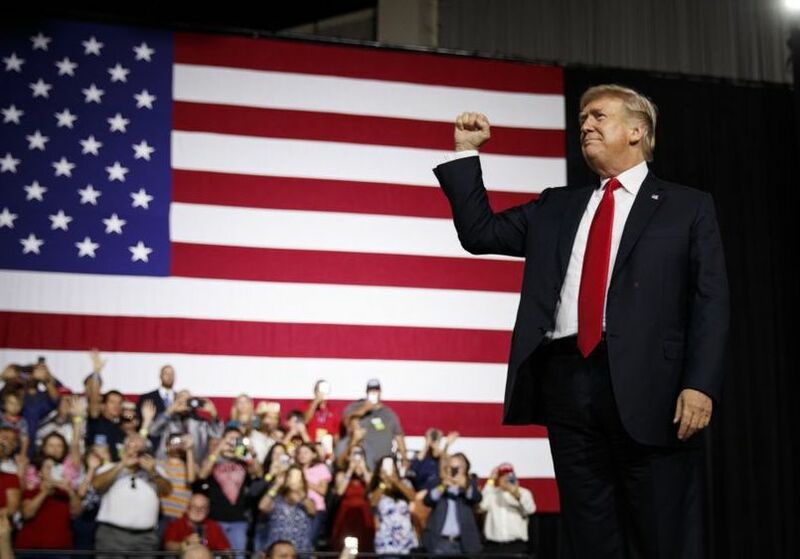 U.S. President Donald Trump issued a defiant defense of his trade policies, praising American farmers for weathering Chinese tariffs and telling a rally for Republican candidates in Florida that “the days of plundering American jobs and American wealth, those days are over”. “China and others have targeted our farmers. Not good. Not nice. And you know what our farmers are saying? ‘It’s OK. We can take it’,” Trump said. If the U.S. President follows through with the plan, it could significantly raise prices on televisions, clothing, bedsheets, air conditioners and other consumer products. Due to the possible increase in the tariff rate, the public comment period has been extended from August 30 to September 5. According to the Foreign Trade Research Center of the Chinese Academy of International Trade and Economic Cooperation, among the 6,031 items on the most recent USD200 billion list are 67 items on which the U.S. depends wholly on Chinese imports. The U.S. is dependent 90% to 100% on Chinese imports for 127 items. For 193 items, there is 80% to 90% dependence. For 207 items, there is 70% to 80% dependence, and for 1,150 items, there is a greater than 50% dependence. China’s Ministry of Foreign Affairs issued a sharp warning that any “pressure and blackmail” by the U.S. would be of no use, and would result in further retaliatory action. “Should the U.S. escalate the situation with further actions, China will certainly respond with countermeasures,” Foreign Ministry Spokesman Geng Shuang said, adding that China would “resolutely safeguard” its legitimate and legal rights and interests. U.S. and Chinese officials have held unofficial talks, but a deep and mutual distrust continues to hamper efforts to de-escalate the conflict. Official trade negotiations have been stalled since U.S. Commerce Secretary Wilbur Ross visited Beijing in early June. The Chinese government is trying to assess the impact of the trade row and political sentiment in Washington, and exploring the possibility of restarting talks – although the time was “not ripe right now”, according to analysts. Teng Jianqun, head of U.S. research at the China Institute of International Studies – a think tank affiliated with the Ministry of Foreign Affairs – said, “China has never experienced such aggressive challenges” and needed a sustainable strategy for the long run. “Lessons have to be learned. We shouldn’t fight a trade war for the sake of fighting. This is not two kids throwing bricks at each other,” Teng said. “We need to plan our moves and avoid pitfalls that would endanger the nation’s grand strategy and overall policy design. He added that Beijing’s top priority was to ensure political and economic stability so that China could stand up to external challenges. Renmin University International Relations Professor Shi Yinhong said there was no prospect of a resumption in trade talks any time soon. Bai Ming, Senior Researcher with the Ministry of Commerce, said the trade war would force China to press ahead with reform, such as moving up the manufacturing value chain to address overcapacity. Meanwhile, the U.S.Senate voted 87-10 for the John S. McCain National Defense Authorization Act (NDAA), including weaker provisions than earlier expected to scrutinize foreign investments in the U.S. and limit contracts with ZTE and Huawei. Federal agencies are also prohibited from buying security cameras from Chinese suppliers. An earlier version would have reimposed a seven-year ban on sales by American companies to ZTE, effectively putting the company out of business. Since the bill already cleared the House of Representatives, it now goes to President Trump to be signed into law. The offshore yuan dropped to a 15-month low of CNY6.8824 per U.S. dollar on August 4 as the U.S.-China trade war escalates, with traders projecting the Chinese currency to slip further through the year. Currently trading at a level on par with mid-May last year, the yuan has already lost 8% in the past six weeks since the trade war began. The currency has also shed 10% from its peak at CNY6.2352 per dollar in March. Traders expect the offshore yuan to trade down to close to CNY7 per dollar next year. The onshore yuan also dropped to its lowest level in 15 months at CNY6.8724 per dollar.